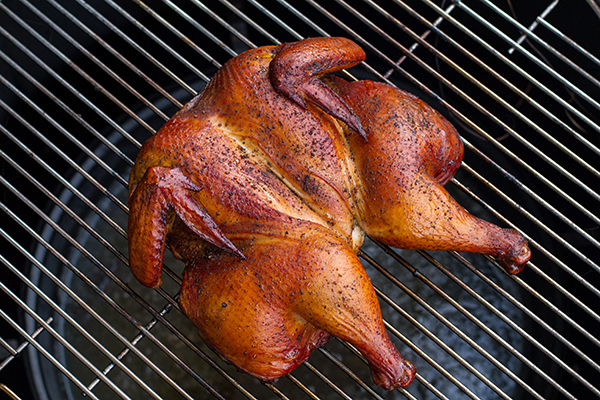 A whole chicken is one of the most versatile and lasting meals I grill. While a feast itself, there are almost always leftovers and the leftovers from a chicken can go a million different directions. My top three chicken leftover uses are in a quesadilla, atop a green leafy salad, or the chicken, in chicken salad. I tend to make my chicken salad on the fly, which means scrounging whatever chicken I have left and ballparking the ingredients...when, I remember the ingredients. I've made this so many times, I decided to finally memorialize the process and best yet, dedicate the entire chicken, not just some tucked away leftovers. 1. For this recipe, I am going to spatchcock the chicken. 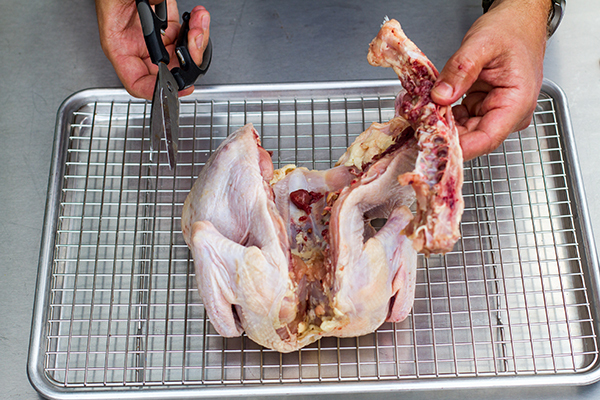 Spatchcock, which is English for, spatchcock, is the process of removing the backbone from a chicken so it can be cooked flat. Here, it's important for two reasons. 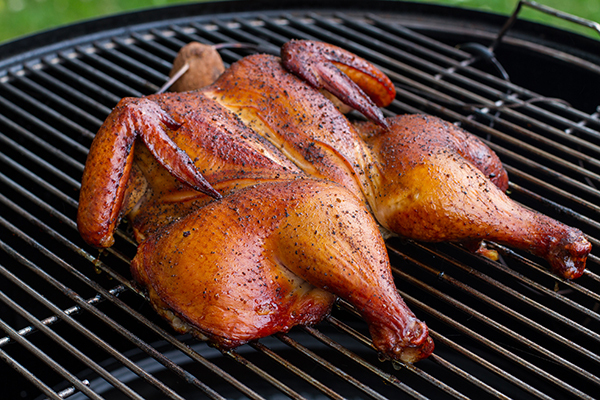 One, it speeds up the smoking time and two, it more readily absorbs the smoke making for a more flavorful bird. 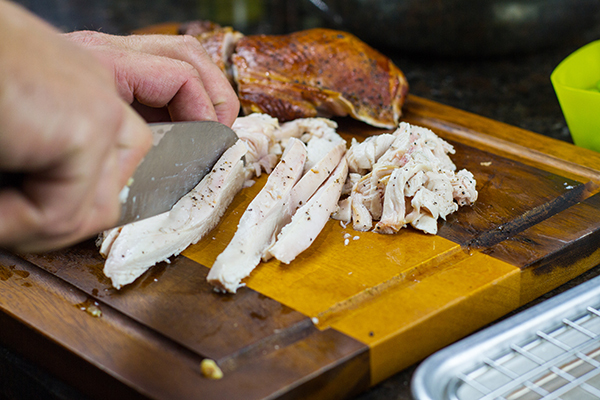 To spatchcock, place the chicken breast side down. With a sharp pair of kitchen shears, cut up one side of the backbone. Repeat on the other side of the backbone. 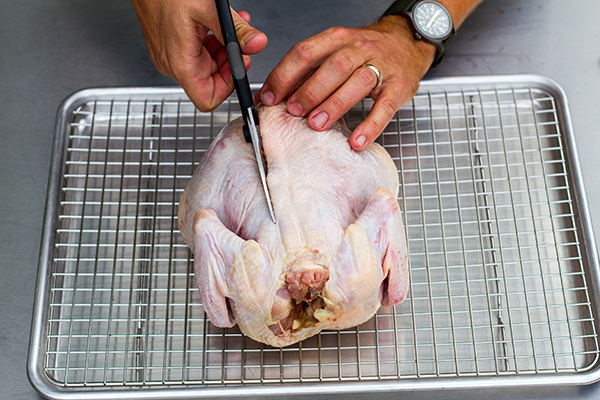 With the shears, face the open chicken and "snip" the sternum. 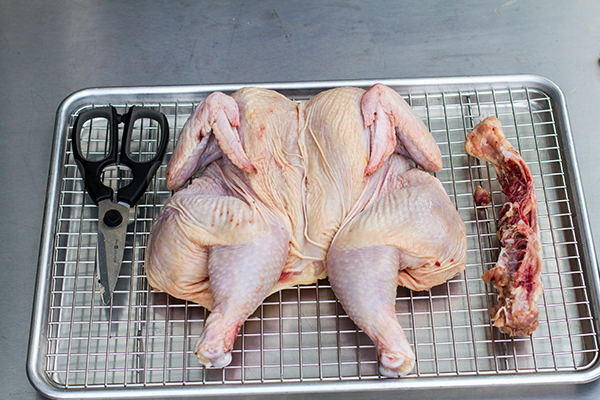 This helps the chicken spread out and when done, looks like this. 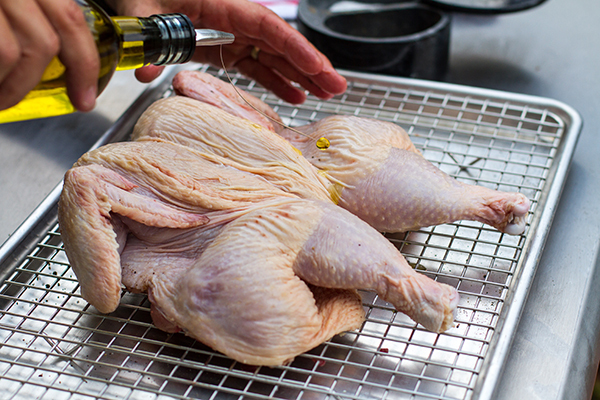 Gently rub both sides of the chicken with a thin coating of olive oil. 2. I'm using the Weber Smokey Mountain Cooker (WSM) to smoke. 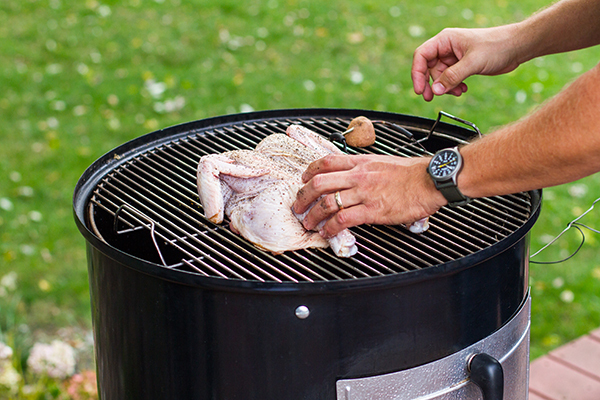 You can just as easily use smoke on a kettle, or better yet, the Weber Summit Charcoal Grill. 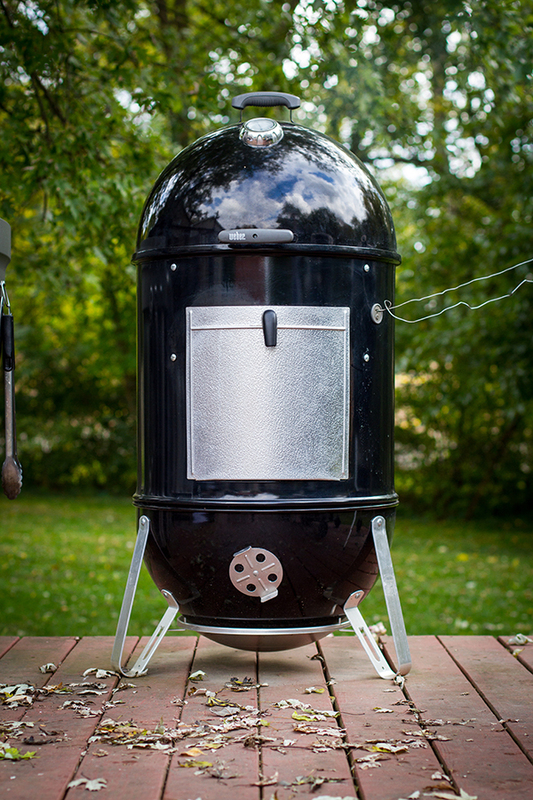 Prepare the WSM to smoke at 250° F.
3. Once the temperature is locked in, add wood chunks. In this case, I went with apple. 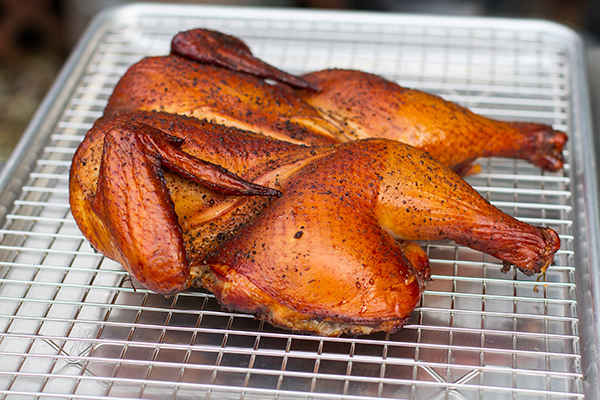 Place the chicken on the smoker, skin side up. Cover and smoke. 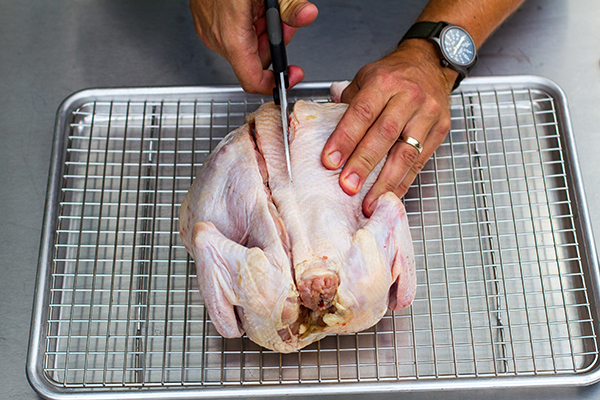 Note: Not only do I monitor the chicken with a wireless thermometer, I also monitor the grate temperature. There is a range of temperature between the lid temp and the grate, plus, I can monitor the temperatures from inside the house, which is really nice when it's cold outside. 4. 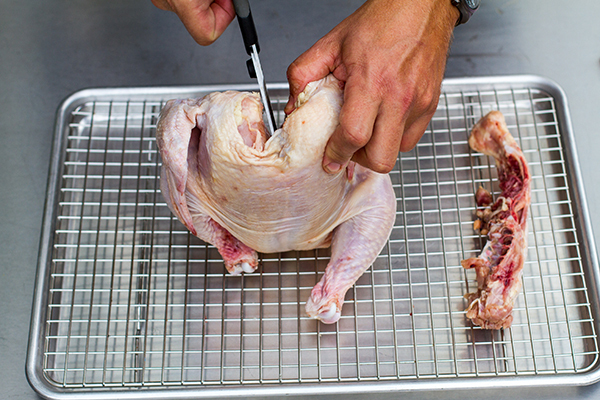 Smoke the chicken for approximately two hours, or until the internal temperature of the chicken reaches 165° F.
5. 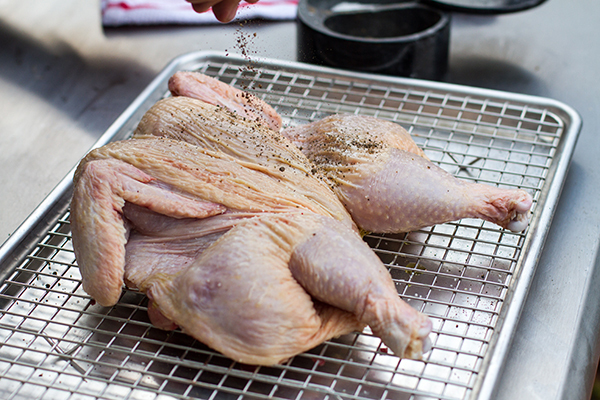 Remove from the grill and allow to rest and cool. 6. 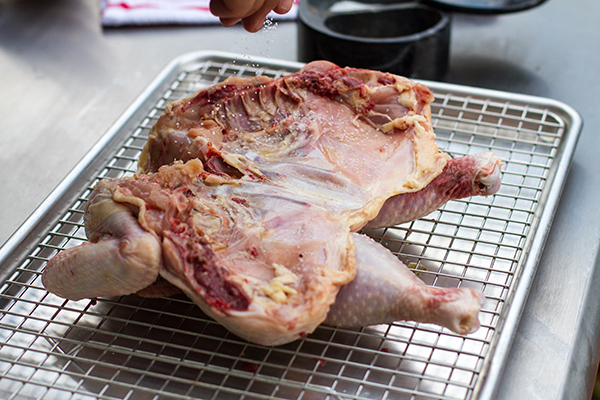 Once the chicken has cooled, remove the meat from the bones. Coarsely chop the pulled meat. It should total around 4 cups. The skin is delicious. I tend to eat it as I go. Whether you want to include any in the salad is up to you. 7. 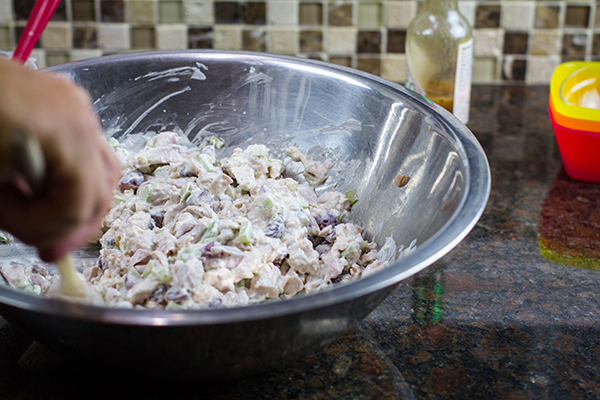 In a large bowl, combine the salad ingredients. Stir. Additional salt and pepper to taste. Enjoy!